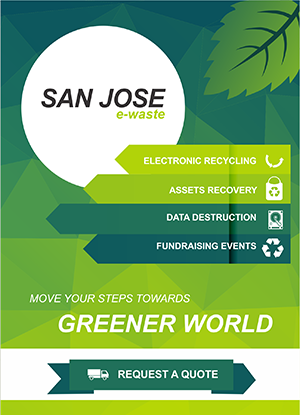 The highly proficient and knowledgeable team at San Jose E-Waste focuses on establishing flexible and tailor-made locally-managed programs to maximize the output for each of our clients. That said, we make sure that for each one of our clients, the IT asset management process is simpler to measure, manage and is more reliable. We have put together a team who works toward a common goal of helping all of our clients to resolve the issues that may divert them from their normal working business functions. The aim is to provide the most equitable and suitable computer equipment liquidation solutions to our customers. Our employees take the burden of your employees so that they can put their efforts toward delivering the maximum output and not worry about the IT aspect. Our highly professional data destruction services help in minimizing the risks related to the recycling process. Our comprehensive IT asset disposition services, includes data destruction. We are fully compliant and have a professional relationship with the city for remarketing, data security, data destruction, corporate employee sales, redeployment, eco-friendly recycling of assets…all related to the field of IT. Rely on us for dutiful and reliable services to offer you the most secure systems. All or our services are based on the most advanced technologies and methodologies to offer you the optimum results in the least amount of time.